The Complete Guide To Food & Wine At Christmas! ‘Christmas Comes but Once a Year ’, so the 1936 song tells us. Which when you think of how quickly Christmas approaches and the potential stress of all the preparation, the last one never seems that far away! However, with a little organisation and forward planning, there is no better opportunity than Christmas to really enjoy creating exciting menus of your favourite foods, with wines to match. This is the time of year when we are confronted with such a selection of meals to prepare, it can cause some confusion. You want to impress and it can be daunting even for the most skilled, but it should also be a time for you to enjoy the whole experience. So instead of it just being part of the Christmas process, turn it into an adventure for you and for everyone! Plan menus in advance, choose your wines to match and ask all involved to play a part. Perhaps by selecting and preparing individual dishes or courses with even a pre-Christmas gathering to discuss how everyone can be involved. This can make it so much more fun and bring an extra dimension to the festive holiday. Just ‘keep it simple’ and remember it is not much fun listening to all the merriment of your guests from the confines of your kitchen! We at wines direct are here to assist you, not only with our great selection of wines linked to exciting bargains and special offers, but with menus, food styles and basic tips to help guide you through the whole festive season. 1 List all the days and meal times you want to cook for with the number of people eating at each. 2 Itemise all menus that you want to create, like you would expect if dining in a restaurant and choose variety with uncomplicated dishes that can be prepared as much in advance as possible. 3 Gather recipes and list ingredients for each meal on your menu and then create a ‘master list’ for shopping. Buying all the food you need does not have to done at one time, so plan when you would like to do this and shop at the best time to avoid the crowds. 4 Buy all your household everyday essentials as a separate ‘shop’ as early beforehand as possible, this lets you concentrate on the ‘fun food and wine shopping’. 5 Create a ‘larder list’ of herbs, stock cubes, seasonings and relishes, these will last so can also be purchased early. Try to buy a variety of ‘fresh potted herbs’ where possible to include; basil, parsley, coriander, thyme, rosemary, dill and sage. Lots of fresh garlic [a jar of ‘lazy garlic’ is good for ease and back-up] some dried bay leaves and a selection of fresh chillies. 6 Plan your wines to match each meal, or each course if you’re feeling adventurous. Christmas is a great time for bargains with all supermarkets, high street wine shops and merchants competing for your business, or buy ‘on-line’. 7 Formulate a diary of events with a simple time plan and organise as much in advance as your time will allow. 8 Involve others where possible to help you and share the preparation experience. 9 NOTE: When buying wine you may want to ease the process and look at taking advantage of ‘home delivery’. 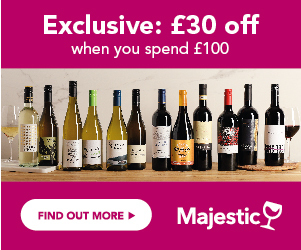 There are some great mixed case offers from specialist merchants such as Laithwaites and also most supermarkets. Take a look at our Wines Direct section on ‘Mixed Wine Cases’, Champagne Offers and Buying Wine in Bulk. All the best bargains with wine descriptions to help make the right choices to suit you! Here are some simple recipes and wine ideas for some guidance and remember our Christmas dining motto – ‘Keep It Simple’. Melt the butter with the oil in a thick bottomed pan and add the onion and garlic - do not colour. Cook until soft then add the wine, bring to the boil and simmer gently until the wine is reduced by half Remove from heat and add the cream, return to simmer gently stirring continuously - do not boil - then add the cornflower a little at a time until a thicker consistency is achieved Season with dill, salt and pepper to taste Place the fish with the prawns into an oven proof dish and cover with the sauce Brush some melted butter around the edges of the dish [this helps the pastry to stick] cover with pastry and glaze with more of the butter Bake for 40 minutes [200c/gas mark 6] or until the pastry is a golden brown or if you prefer the potato option – mash until creamy and spread over the fish – same method of cooking as pastry option Serve with buttered peas and carrots - glazed with a little honey – sumptuous and light for an early evening treat! "A great partner would be a Sauvignon Blanc, try one from New Zealand’s ‘Brancott Estate’, discounted at Tesco, Asda and Majestic. This wine is a really good choice - Lots of green fruit flavours, crisp and refreshing and will complement the mix of fish really well, a lovely way to start your celebrations!" For a ‘Simple Breakfast’ - Think Continental! Hot croissants filled with chilled smoked salmon spiked with a touch of lemon juice, make a delicious and light start to the day’s celebration - spread with a little cream cheese for an extra treat! A glass of Champagne is a great partner for this style of breakfast – mixed with fresh orange or pomegranate juice! A really good offer at the moment is Charles de Ravon currently on sale and Made from only Chardonnay grapes this ‘Blanc de Blancs’ style is light, refreshing and full of fruit. It has a pale gold colour with subtle fruit aromas of apples and pears. This delicate and well balanced Champagne has been aged for 24 months that gives a long and lingering finish. Finely slice some iceberg lettuce and half fill a wide brimmed wine glass or dish, then place some cooked and chilled tiger prawns on top with a squeeze of fresh lime juice. Mix some tomato puree [or ketchup] with some light mayonnaise, seasoned with a little milled salt and black pepper, then coat over the prawns and for a bit of extra spice, splash over a few drops of Tabasco sauce - just enough to tantalize your taste buds! For a really good wine to match our starter, try Marqués De Caranó Rosé available at Tesco. "This blend of Macabeo and Chardonnay grapes brings a golden colour to this wine. It displays ripe tropical fruit aromas with flavours of green apple and spices. This is a really refreshing and fruity Rosé wine that you goes perfectly with salads and seafood. " At Christmas as it represents the most traditional of all the individual dinner choices in our country at this time of year. Buying, preparing and cooking your turkey can be a daunting task but with some simple calculations, it need not be! This size turkey will take around 5 hours to roast [cover with tin foil and remove for the last ½ hour to brown] then ‘rest’ for 45 minutes covered. This is essential if you want succulent and tender meat. This cooking time gives plenty of opportunity to prepare your vegetables and in particular the rest time is when you can concentrate on roasting your potatoes to perfection. Peel and slice fresh sprouts, finely chop some red onion and combine. Fry a generous amount of pancetta or streaky bacon in some olive oil and stir fry altogether. Season with freshly milled black pepper, be careful with salt as the bacon may provide sufficient. Choose baby Chantennay carrots and sauté in butter with a little sugar, when coated and glazed pour in a little sparkling water, place a lid the pan and ‘steam’ for 10/15 minutes until just cooked through, remove from the pan with a slotted spoon and reduce the remaining liquid until ‘syrupy, pour over the carrots and serve garnished with chopped parsley. Roast Potatoes and Parsnips – Maris Piper potatoes are really good for roasting! Prepare both and cut to a similar size, mix together and bring to the boil for 5 minutes only in lightly salted water. Strain through a colander and return to the empty pan and place back on the heat to dry, shaking with lid on to ‘fluff’ them up. At the same time heat some goose fat or beef dripping in pre-heated oven in a roasting tray, then add your mixed pots/parsnips and roast in the hot oven until a crisp golden brown. [Approx. 20/25 minutes] Season with freshly milled sea salt to taste! Accompany with home- made bread sauce and fresh cranberry sauce with a little red wine or Port added. Try a stuffing of sausage meat seasoned with finely chopped red onion, fresh parsley, thyme, sage and breadcrumbs with grated lemon and orange rind to complete the flavours. Make your gravy the way you like it, everyone has their own preference, but use the juices from the pan to give it more depth of flavour. Make sure all the fat has been removed from the roasting tray, add a generous amount of red wine to the meat residue and bring to the boil. Reduce by half and add to your gravy. With all the different flavours going on – the spice from the gammon, the rich stuffing and the red wine gravy with the succulent turkey, then I would recommend a red wine with body and fruit. Try Chateau Trimoulet from Tesco, an excellent quality Saint-Émilion wine from Bordeaux that suits this combination of different taste experiences. "This excellent Saint-Émilion Grand Cru has been made by the same family for eight generations. From the 2006 vintage, this magnificent claret is a blend of Merlot, Cabernet Franc and a little Cabernet Sauvignon and is drinking extremely well now. It displays elegant smoky aromas of cassis, liquorice and cigar boxes which follow on to the classic smooth, mellow red-fruit flavours expected of a mature Bordeaux wine. " For your Christmas Pudding – If you like custard then to save time, look for a ready-made clotted cream style, so rich and delicious. Add a little honey and Brandy and you have a topping made in heaven. Use for your mince pies as well! A wine for your Puds and Pies: My favourite choice here would be Sauternes. Try Chateau Haut Bergeron £9.97 from ASDA - Full of rich wild honey flavours and a perfect match that will add another dimension to your Christmas dessert experience! Or Try something different with this wine from the southern French region of Rousillon: Croix Milhas Rivesaltes Ambré 37. (Half Bottle). "It has intense aromas of crystallized fruit, cinnamon and gingerbread and the myriad flavours of plum, prune, nuts and orange peel fill the mouth. The wine is sweet and the natural acidity and spicy oak give it a fresh, complex, lingering finish." Everybody’s favourite lunch and the greatest way to use all the vegetables left over from Christmas day. They always taste so good when gently fried in a little butter and olive oil. For added flavour mix them all together and season with freshly milled black pepper, rosemary and thyme and make sure you don’t over crowd the pan. If you want to spice things up add finely chopped chilli to taste and some crushed garlic for a continental twist. Serve with a selection of the cold meats alongside all your favourite pickles and chutneys. The piping hot slightly crisped up vegetables will be contrasted by the coldness of the meat and tanginess of the relish. For a bit of extra taste, cut some cucumber lengthways, scoop out the centre and discard. Grate the flesh and add to some natural plain yoghurt, use as a topping on the veg. This is a great opportunity also to encourage others to create their own combination of flavours by arranging a cold display of all foods and seasonings in the kitchen so they can help themselves and cook – make sure they wash-up too! I so look forward to this opportunity for a relaxed dining experience around the table with family or friends - buffet style, or just in front of the television! Ideal wine partners for this Boxing Day meal are the lighter reds like Beaujolais Villages or fuller bodied whites such as an Australian Chardonnay or Riesling. I have chosen this ‘Chilano Signature Chardonnay’ from Chile - available at Tesco and with 50% off is a really great buy! Full of Chardonnay expression, this white wine displays fresh flavours of tropical fruits such as pineapple, papaya and sweet toasted notes on the finish. I am happy to receive emails informing me of deals and offers, many exclusive to this site. No comments about this page yet. Why not add one?